The Court of Justice of the European Union (CJEU) recently rejected an appeal by the well-known liquor producer Mast-Jägermeister related to a European registered design application directed to shot glasses. In 2015, Mast-Jägermeister filed a registered design application including figures (not made publicly available) that showed shot glasses along with bottles of Jägermeister. The bottles were apparently not intended to form part of the claimed design. The European Union Intellectual Property Office (EUIPO) Examiner objected to the application on the grounds that the representation of the design was not sufficiently clear, because the presence of the bottles in the design meant that it was not clear whether protection was being sought for the shot glasses or the shot glasses in combination with the bottles. Mast-Jägermeister could have remedied the deficiencies either by adding “bottles” to the indication of product and dividing the design into separate parts, or by filing new views (which would have caused the application to be re-dated). However, they were apparently unwilling to use either of these remedies (presumably because either action would have made the registered design application somehow not fit for commercial purpose). Accordingly, the Examiner took the view that the design application could not be accorded a date of filing since the design for which protection was sought could not be identified. Mast-Jägermeister’s subsequent appeals to the Board of Appeal of EUIPO, the General Court of the EU, and finally the CJEU focused on whether the application clearly defining a scope of protection was indeed a requirement for according a data of filing for an application. Mast-Jägermeister’s interpretation of the regulations was that, for a date of filing to be accorded, the design simply needs to include a representation of the design suitable for physical reproduction. This would mean that a design application would need only to pass a narrow formal examination to be accorded a date of filing. 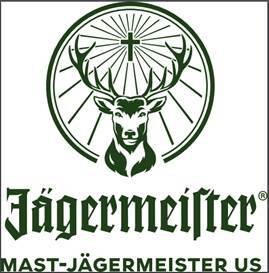 However, the CJEU ruled that the concept of representation encompasses, in itself, the idea that the design must be clearly identifiable – so the appeal was rejected, and consequently, Mast-Jägermeister’s registered design application could not be given a date of filing. This case emphasizes the vital importance of ensuring that the figures used in registered design applications are correct and do indeed cover what is intended to be covered before the application is filed, in particular where any re-dating of an application would be undesirable. In this case, the originally filed figures in Mast-Jägermeister’s application fatally prejudiced their application, with the resulting deficiencies being incurable despite appealing to the highest possible level. Max Thoma is a UK Patent and Design Attorney in Mathys & Squire. Max works primarily on drafting and prosecuting patent applications in the UK, Europe, and the US. He works in fields including telecoms, smart devices, optics, mechanics, and computing. He additionally has experience in contentious matters. Alongside his patent work, Max also works on preparing, filing and prosecuting Registered Designs in the European Union, as well as in many overseas jurisdictions. Max has a Masters in Mechanical Engineering from the University of Cambridge, where he studied a broad-based course. He has particular academic experience in microsystems and materials. His Master’s thesis, which was published in an academic journal, related to production methods for YBCO bulk superconductors. He also holds a Certificate in Intellectual Property Law from Queen Mary, University of London.